Here you will find dramatic 20 foot high vaulted ceilings, knotty pine throughout and touches of the northwood decor. The dishwasher, whirlpool tub, air conditioning and LCDTV/DVD have not been forgotten! 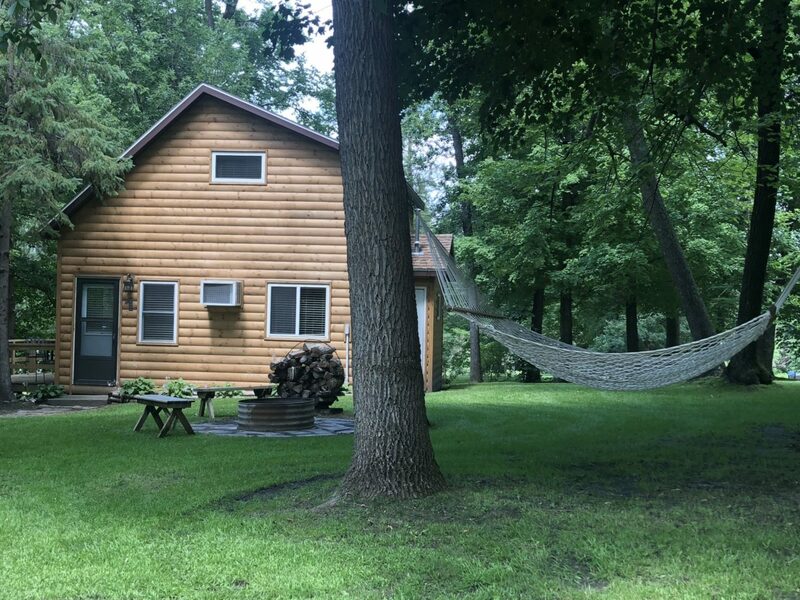 Vacation Home #1 is surrounded by a large yard, with a hammock just steps away. 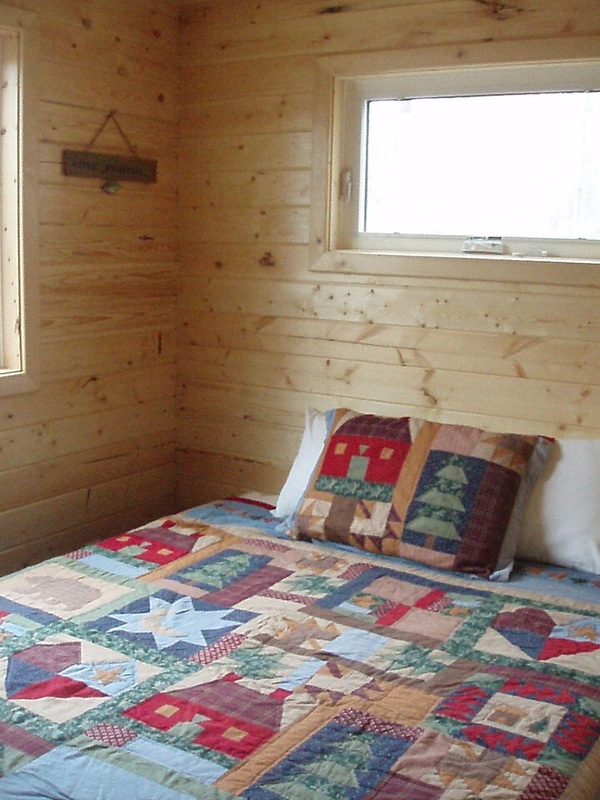 This unit also has a hide-a-bed, which will accommodate two additional people. 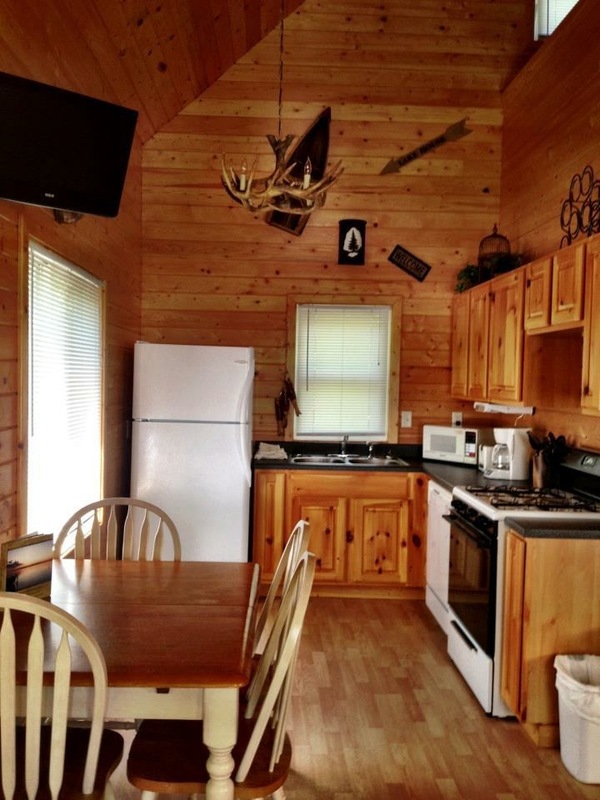 Cabin 1 is a "loft style" unit with three bedrooms, Jacuzzi tub, dishwasher, 24" flat screen television with built-in DVD player, air conditioning and all of the comforts expected in Woodland's vacation homes. This vacation home has vaulted ceilings, air conditioning and includes a modern kitchen thoughtfully equipped with a microwave, automatic coffee maker, wine glasses and cooking utensils. There is a steep set of stairs to the loft, therefore not recommended for groups that have toddlers or elderly. You will find three bedrooms here. The bedroom on the lower level is furnished with a Queen sized bed. In the loft, there is one bedroom with a double bed, and one bedroom with two twins. 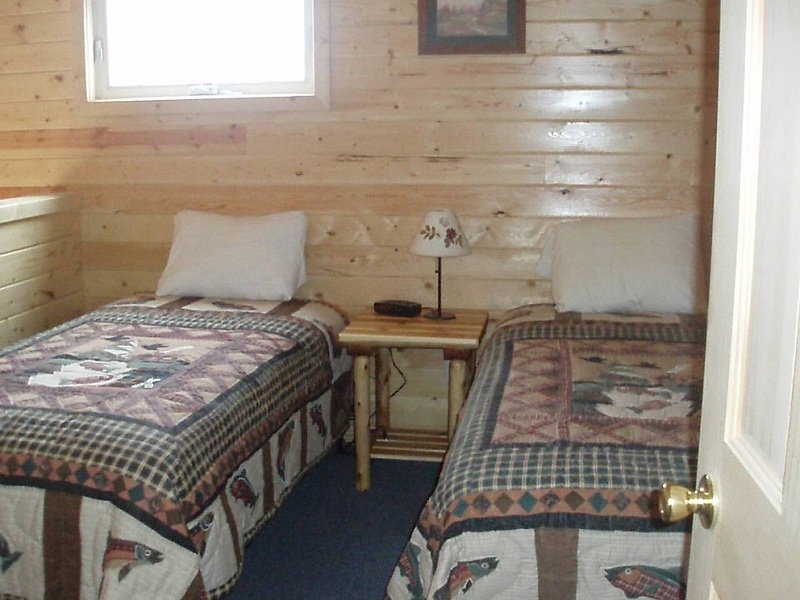 You will also find a hide-a-bed to accommodate two additional people. Your group will enjoy the open floor plan, with the kitchen, dining area and living area all flowing together. The sliding glass door opens to the deck, where you can enjoy the evening dining, relax with a game or just watching the kids play in the yard. The bathroom has a Jacuzzi tub, is tastefully decorated and finished in knotty pine.